Eashwar Krishnan, former Asia head of Lone Pine Capital LLC, raised $500 million for his own Asia- focused hedge fund that bets on rising and falling stocks, said two people with knowledge of the matter. Tybourne Capital Management (HK) Ltd. can draw down an additional $500 million available from investors later this year as opportunities arise, said the people who asked not to be identified as the information is private. Tybourne Equity Fund started trading in Hong Kong on July 2, they said. Krishnan, Tybourne’s chief investment officer, declined to comment. Do you like to follow the buying trends of smart money investors? We ran a screen with that idea in mind. We began by screening for stocks with bullish sentiment from institutional investors, with significant net institutional purchases over the last quarter representing at least 5% of share float. This indicates that institutional investors such as hedge fund managers and mutual fund managers expect these names to outperform into the future. With politicians struggling to shore up plans to tackle Europe’s debt crisis, hedge fund managers are finding it hard to come up with moneymaking ideas to suit markets focused on the latest announcement by euro zone or U.S. leaders. Once seen as able to make money in all conditions, many hedge funds have opted to keep their bets small and their exposure to movements low as quieter summer trading looms, mindful of last August’s stock market meltdown. There is discussion these days about whether hedge fund advisors are saviors or villains. We don’t take either side of the debate but we do study available Securities and Exchange Commission (SEC) data. Our recent analysis of the June 2012 data revealed that 11.58% (1 in 9) of all private fund advisors (including hedge funds and private equity funds) have at least one “significant adverse regulatory event” listed in their Form ADV. That particular finding wasn’t too surprising to us. What was striking about the private fund data was that the regulatory violators tended not to be hedge funds. The more egregious private fund violators were the large banks and large brokers, many of which place their clients into their own hedge fund products. Newedge, a global leader in multi-asset brokerage and clearing, today posted the monthly performance data for its suite of Hedge Fund Indices. …The Newedge CTA Index, which is equally weighted, calculates the daily rate of return for a pool of the largest CTAs that are willing to provide daily returns and are open to new investment. The Newedge CTA Trend Sub-Index, which is equally weighted, calculates the daily rate of return for a pool of trend following based CTAs who are constituents of the Newedge CTA Index. The index is rebalanced annually. Hedge fund manager Chris Hansen attacked a Seattle City Council report attacking his own plans to build an arena in his hometown. Hansen, who runs Valiant Capital Management in San Francisco, in February announced that he would build a $500 million arena in Seattle’s SoDo neighborhood, hoping to attract a National Basketball Association—or National Hockey League—franchise. In addition, the city would contribute some $200 million using tax revenues the building generates. Hedge funds gained 0.66% in June, according to the Barclay Hedge Fund Index compiled by BarclayHedge. The Index is up 2.39% year to date. “A bailout package for Spain announced early in the month helped to set a more positive tone for equity markets in June,” says Sol Waksman, founder and president of BarclayHedge. London-based Caliburn Capital Partners is getting out of both hedge fund research and the fund of funds business. The firm will sell its Singapore-based hedge fund research arm, Caliburn Capital Partners Pte, to Hermes for an undisclosed amount. Hermes BPK Partners will also take over the management contract for the Caliburn Greater China Fund, a hedge fund of funds, integrating it into its own suite of hedge funds and renaming it the Hermes BPK Greater China Fund. Russian investment specialists Prosperity Capital Management is targeting institutional investors with the launch of an alternative Ucits version of its flagship hedge fund as the firm aims to attract a wider audience. Speaking to Citywire Global, the Moscow-based company said it is in the process of registering a Luxembourg-domiciled version of its $1.4 billion Russian Prosperity Fund. Trian Fund Management bought about 669,000 shares of Family Dollar FDO +1.36% last November, attractively valued at $37 to $39 per share. 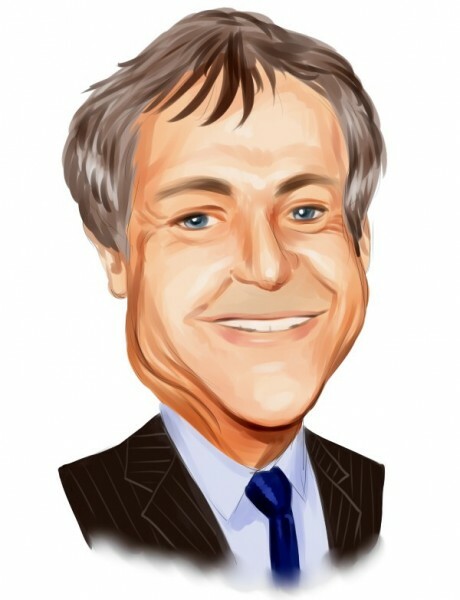 Ed Garden, co-manager of the fund along with his father-in-law Nelson Peltz, has been a member of the company’s board of directors since late September 2011. This purchasing activity came several months after the fund submitted a take private bid for Family Dollar, valuing the company at $7 billion or more. Trian has a robust set of holdings that includes Wendy’s WEN -0.31% and Kraft Foods KFT -0.33% ( You can view Trian ‘ s holdings here ). Kris Richmond has been appointed as a hedge fund analyst for Momentum Global Investment Management. He will focus on a range of hedge fund strategies including macro, fixed income arbitrage and volatility. This appointment highlights London-based Momentum’s commitment to the alternatives strategies sector. Richmond joins Momentum from PAAMCO where he focused on long short equity, event driven, volatility and convertible bond arbitrage strategies. Former McKinsey & Co. partner Anil Kumar provided “extraordinary” cooperation as a government witness against hedge-fund manager Raj Rajaratnam and former Goldman Sachs Group Inc. director Rajat Gupta, prosecutors said. At Rajaratnam’s trial last year, Kumar’s testimony “was nothing short of devastating,” prosecutors said today in a letter to Denny Chin, the federal judge who is scheduled to sentence Kumar July 19. Kumar pleaded guilty to participating in an insider-trading scheme with Rajaratnam. Bangalore-based microfinance institution Janalakshmi Financial Services Pvt Ltd has raised another Rs 80 crore ($14.6 million as per current exchange rate) in its Series C round of funding, taking the total amount raised in Series C to Rs 145 crore. The second tranche comes a year after the microfinance institution raised the first tranche led by Citi Venture Capital International (CVCI). The current funding was led by existing investor Caspian Advisor’s India Financial Inclusion Fund (IFIF) and a new investor – GAWA Microfinance Fund. Existing investors CVCI and hedge fund Tree Line Asia Master Fund (Singapore) Pte Ltd also participated in this round. Enam Shares & Securities Pvt Ltd also took part in this round of funding. Unitus Capital was the lead financial advisor and arranger to Janalakshmi and its shareholders for the transaction. French hedge fund firm Lyxor Asset Management has appointed an executive to lead its business development division in the Netherlands. Based in Amsterdam, Tim Soetens will be responsible for developing relationships with the firm’s hedge fund, fund of hedge funds and quantitative clients, according to a company statement. John Griffin’s Blue Ridge Capital, L.L.C. has disclosed a 5.73% stake in Colfax Corporation (NYSE:CFX), according to a 13-G just filled with the Securities and Exchange Commission (SEC). Firms are usually required to file a 13-G when they purchase more than 5% of a company’s shares. The value oriented hedge fund has over $7 billion in assets under management (AUM). The total dollar value of the stake in Colfax Corporation is approximately $140 million. Blue Ridge owns 5,370,000 shares of Colfax. This is the first large purchase by Griffin’s hedge fund, since the fund disclosed a $170 million stake in Martin Marietta Materials Inc (NYSE:MLM). We noted at the time that David Einhorn had very negative comments about MLM. David Einhorn and John Griffin are close friends according to our sources. Jonathan Soros doesn’t want to take away his billionaire father’s right to donate millions to back whatever candidates he chooses. But the younger Soros is trying to give candidates an alternative to going to people like his father, the liberal financier George Soros, for campaign donations. The foreign-financed armed rebellion and the Western-backed opposition to Syrian dictator Bashar al-Assad has been falsely portrayed as a spontaneous uprising of “democracy” activists since violence first broke out more than a year ago. But according to a recent investigation published in the U.K. Guardian, top figures in the “regime-change” coalition — most notably the Syrian National Council (SNC) — have intimate links to the highest ranks of the world elite: the shadowy Bilderberg conference, the Council on Foreign Relations (CFR), the Goldman Sachs megabank, billionaire financier George Soros, and, of course, the U.S. government. It is all out in the open, too. Left-wingers are hailing HBO’s new series The Newsroom happily proclaiming it as The West Wing for the 2010s. Like The West Wing, this new show is penned by liberal activist and TV producer Aaron Sorkin. But, wait. Who is writing it? According to Sorkin’s writing team, it seems as though the George Soros-funded, extremist website Think Progress is doing the heavy lifting for team Sorkin. The episode for Monday, July 9 was a Tea Party bashing extravaganza filled with all sorts of smears of Tea Partiers, of Rep. Michele Bachmann and all things conservative. During this same episode one of the characters favorably mentions Soros-funded Think Progress. “A hundred million dollars is nothing,” the venture capitalist Andy Rappaport told me back in the summer of 2004. This was at a moment when wealthy liberals like George Soros and Peter Lewis were looking to influence national politics by financing their own voter-turnout machine and TV ads and by creating an investment fund for start-ups. Rappaport’s statement struck me as an expression of supreme hubris. In American politics at that time, $100 million really meant something. Eight years later, of course, his pronouncement seems quaint. Conservative groups alone, including a super PAC led by Karl Rove and another group backed by the brothers Charles and David Koch, will likely spend more than a billion dollars trying to take down Barack Obama by the time November rolls around. Film director J.J. Abrams has joined billionaire George Soros and some of the nation’s biggest labor unions in donating large sums to a superPAC targeting potential Republican vice presidential picks and run by David Brock, founder of the controversial Media Matters for America. The superPAC American Bridge 21st Century just unveiled a new website this past week called VeepMistakes.com, featuring more than 1,300 pages of purported opposition research and video clips on potential GOP vice presidential candidates. Financial advisor Dennis Tubbergen does his utmost to keep his clients, listeners and readers informed as to what is happening in the world of politics and the U.S. economy. With a radio show, a blog, and weekly newsletter available at www.moving-markets.com, he does a pretty good job of it. Some of Tubbergen’s guests on his show are known all over the world in the fields of finance and economics. This week’s guest expert on The Everything Financial Radio Show fits that category quite nicely. He is Marc Faber, a Swiss-born investor who is now living in Hong Kong. The Midwest is facing a severe drought that is causing corn and soybean crops to wilt under severe weather conditions. The current temperature has exceeded records from the Dust Bowl era, and the drought is now spanning the widest area since 1956. Commodities guru Jim Rogers, however, says while this drought is severe for those suffering from it, there are much larger problems in agriculture as a whole. As the N.C. Utilities Commission’s investigation of Duke Energy enters its second week, the six political appointees who regulate the state’s electric utilities are expected to bring in outside investigators. The complexity of the Duke Energy probe is beyond the scope of the utilities commission’s routine work, which involves issuing certificates and reviewing rates of ferry operators, moving companies and utility companies. U.S. stock futures rose, signaling the Standard & Poor’s 500 Index will rebound from its seventh drop in eight days, as investors awaited Federal Reserve Chairman Ben S. Bernanke’s testimony to Congress on the economy. Yahoo (YHOO)! Inc. advanced 1.9 percent in early New York trading after the company that owns the biggest U.S. web-portal named Marissa Mayer as chief executive officer. Goldman Sachs Group Inc. (GS) rose 1.8 percent after selling its hedge-fund administration unit to State Street Corp.
State Street Corp. (STT), the third largest custody bank, has purchased Goldman Sachs Group Inc. (GS)’s hedge fund administration unit for $550 million in cash. The deal makes State Street the largest servicer of hedge funds in the world with $877 billion under administration as of June 30, the Boston-based company said today in a statement. In a major win for the hedge fund industry, secured creditors now have the absolute right to decide whether they want to accept a cash (or other) payment that is less than the debt that they are owed or if they want to own the assets over which they have security. This noteworthy decision, RadLAX Gateway Hotel, LLC v. Amalgamated Bank, was unanimously decided (Kennedy recused) on May 29, 2012 by the Supreme Court of the United States and resolves previous uncertainty surrounding a secured creditor’s right to credit bid in a sale under a Chapter 11 plan which arose after cases like Philadelphia Newspapers (3d Cir. 2010) curtailed the right. Hedge funds can now trade in secured debt with confidence that, if they (or a group of like-minded investors) acquire a controlling interest in that secured debt, they can set a floor for their immediate recovery on that secured debt or hold the assets to wait until the full value of the assets is realized. In addition, the market for secured debt in these situations should become more liquid, providing better opportunities for hedge funds to exit or enter these opportunities. Securities and Exchange Commission Chairman Mary Schapiro today announced the appointment of Paul A. Beswick as the Acting Chief Accountant in the SEC’s Office of the Chief Accountant. In his new role, Mr. Beswick will oversee accounting interpretations, international accounting matters, and professional practice issues. Mr. Beswick replaces James L. Kroeker, who left the SEC last Friday. Since joining the SEC in September 2007, Mr. Beswick has fulfilled a number of key roles in the Office of the Chief Accountant. Most recently, as Deputy Chief Accountant, he was responsible for the day-to-day operations of the office’s accounting group, including resolution of accounting practice issues, rulemaking, and oversight of private sector standard-setting efforts. Two hedge fund managers from New Zealand are starting a San Francisco based hedge fund, Pacific View Asset Management, LLC., launched with two strategies, International Small Cap and Global Small Cap. Ken Applegate, Senior Portfolio Manager and co-head of the Small Cap team, is joined by long-time colleague Scott Brown, Portfolio Manager and co-head of the Small Cap team. Many hedge funds were battered by the recession, but they still hold a powerful allure. Mysterious and secretive, they dangle the possibility of enormous paydays and a work environment populated by intense math geniuses who dwell in giant Connecticut mansions or Upper East Side townhouses studded with artworks by Jeff Koons and Damien Hirst. What’s the hiring picture at these firms? Must you be a financial genius with an IQ of 140 to even get a foot in the door?